It’s still early days for Vega, but miners aren’t wasting anytime exploiting the immense compute capability of AMD’s new graphics cards. Rumors erupted just weeks ahead of the GPU’s launch earlier last month about its incredible cryptocurrency mining capabilities. Although the touted figures at the time were too fantastical for the real world and the rumors were quickly proven to be false. 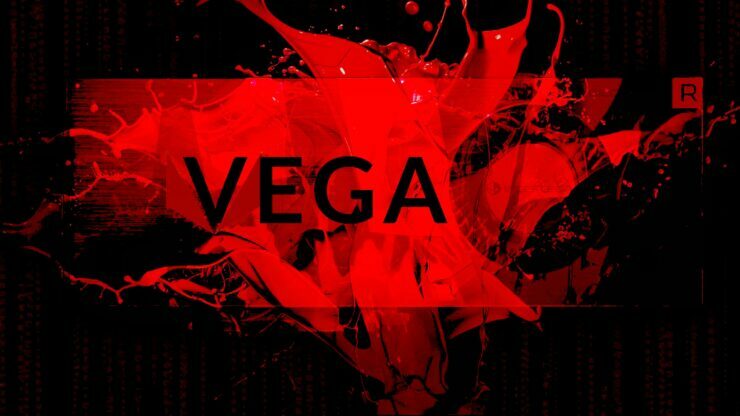 However, given enough time to tweak and optimize miners have already managed to push Vega’s mining efficiency. One redditor shared his incredible achievement earlier today, pushing both of his RX Vega 64 to deliver more than 43.5MH/s with each card pulling no more than 248 watts from the wall. 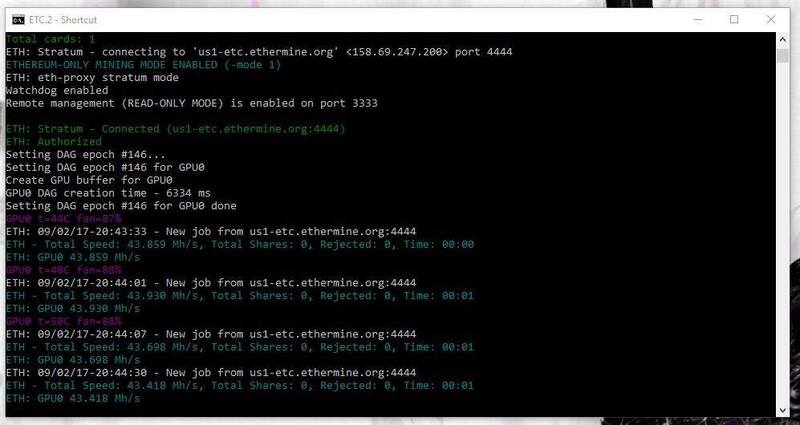 By comparison, in our Ethereum mining performance roundup the RX 480 yielded just under 25MH/s whilst pulling roughly 160 watts. The RX Vega 64 owner achieved this mighty feat by configuring his RX Vega 64 cards to run at a core clock of 1000MHz, with a power target of -24% and the memory overclocked to 1100MHz. 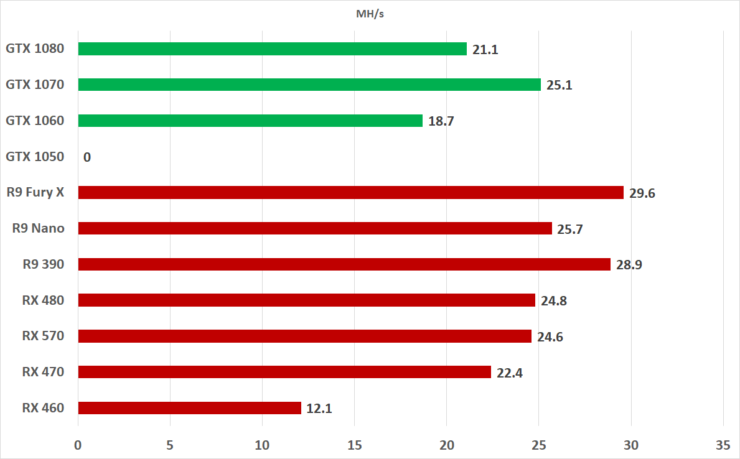 The user also claims that similar results can be attained with the significantly less expensive RX Vega 56. If true, this would make it the most profitable graphics card for Ethereum mining in existence. 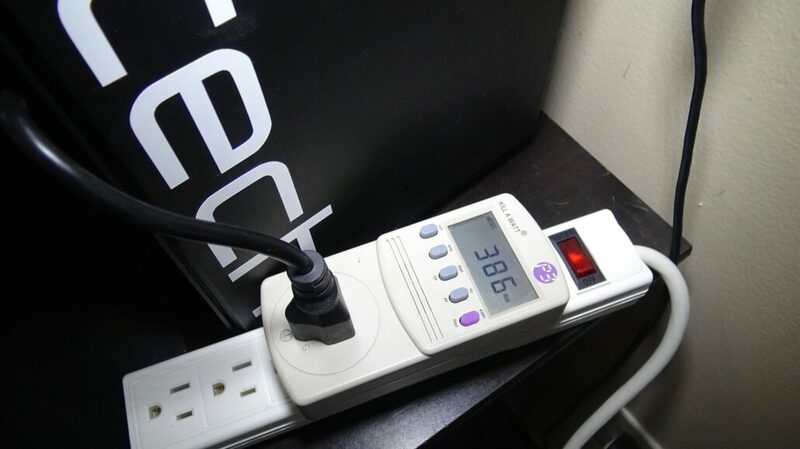 The owner reports that power consumption for the whole card when measured via the power supply sensor, excluding other PC components, amounts to roughly 130W per card. We received delivery of our RX Vega 64 review sample just a few days ago and attempted to replicate the redditor’s findings with great success. 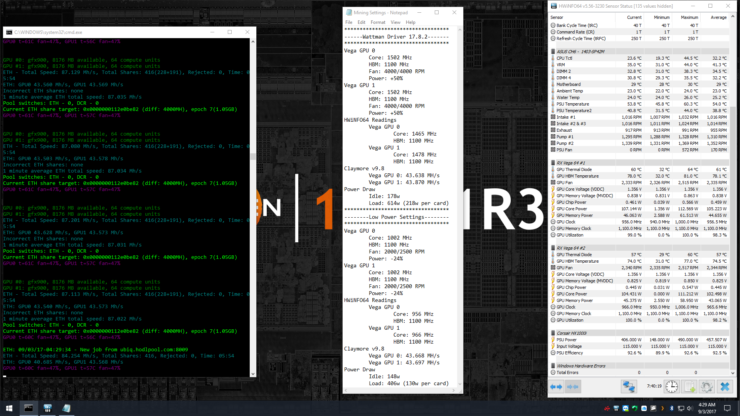 Our resident labmaster and chief Keith May managed to push Vega to output no less than 43.8MH/s, running at a core clock of 1137MHz with a core voltage of 0.98mv and a memory clock of 1100MHz. [Update 6:35 PM Sunday, September 3, 2017 ]: We finally got to do some power measurements of our own, using a power meter. 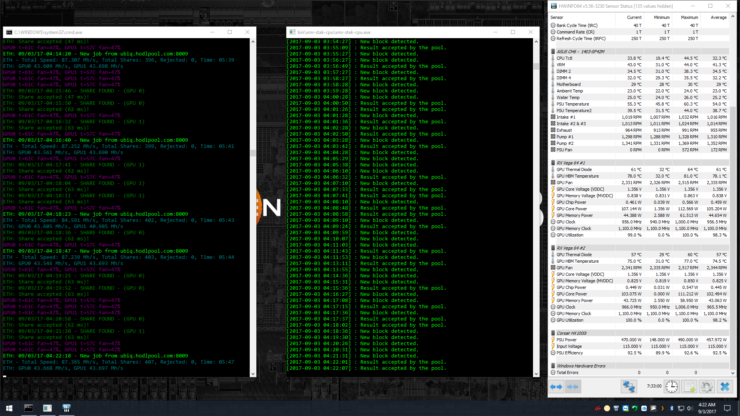 Our test bed idles at 138 watts and the entire system consumes an average of about ~385 watts under load while mining. This yields a delta of 248 watts, which is obviously significantly higher than what the redditor claims to have achieved with his system. With mining performance that’s out of this world we have no doubt that miners are going to strip the supply of Vega cards dry. Miners have already been gobbling up RX 580 and 570 supply for months and with Vega the situation is looking even more dire. Vega graphics cards are already experiencing shortages world wide due to increasingly high demand from miners and Radeon gamers looking to upgrade. If you’re looking to grab an RX Vega graphics card you will want to place an order as soon as you possibly can and if you’re lucky enough you’ll get one next month. Another feasible alternative for gamers is to consider the Vega bundles that AMD is offering. For an additional $100 over the MSRP of the standalone graphics card you get two games and a $100 discount on a FreeSync display. Thankfully, unlike the standalone cards which are out of stock everywhere, these bundles continue to be available and are probably your best bet to grab a Vega card if you’re a gamer. Previous articleWhat Levels Could BTC/USD Pullback To?